Mark your calendar! 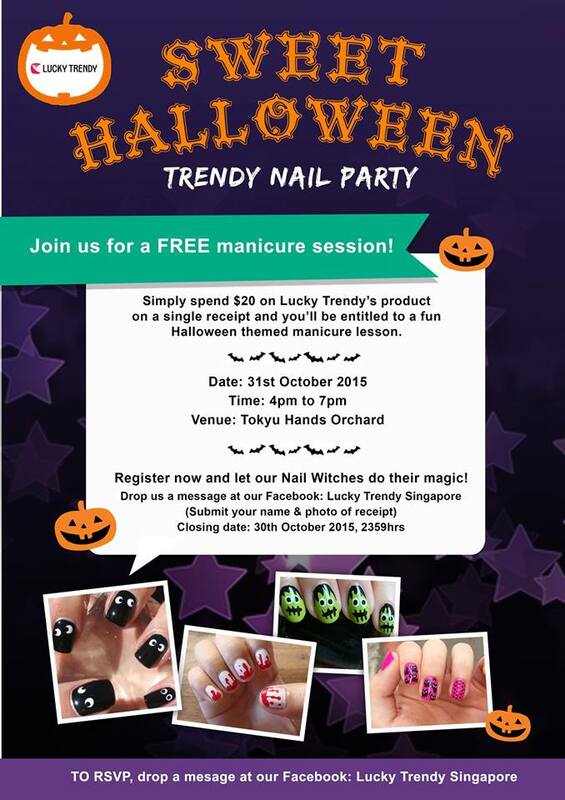 Sweet Halloween trendy nail party on 31st October, 2015! Lucky Trendy is going to have it’s first ever Halloween Nail Party in Singapore. For every $20 spend you can join the Free Nail Lesson on the 31st October 4pm to 7pm at Tokyu Hands Orchard! There will be additional 10% off for all Lucky Trendy products on that day too! For more information, please feel free to contact us at this link!